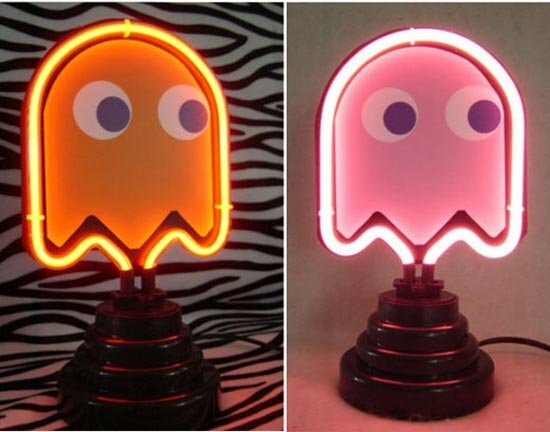 Here’s a fun geeky accessory which is bound to brighten up your geeky apartment, the Neon Pacman Lights. 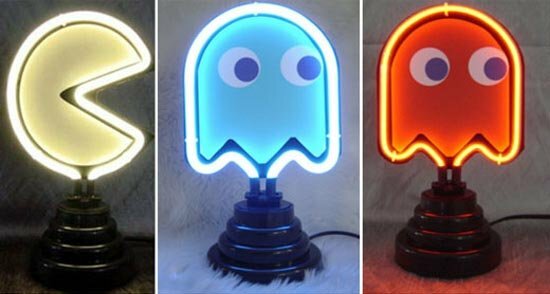 Each one of these funky Pacman lights is 7 inches tall, and they ghost lights come in a variety of colours from orange, pink, blue and red, and there is a yellow Pacman light available as well. If you want one of these funky Pacman Neon Lights, they are available over at Ebay, but be quick as it looks there are quite a few people bidding on them.